Hi everyone and welcome to my insurance website and blog. 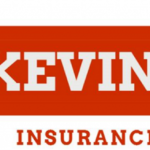 My name is Kevin Boland and I am a local Farmers insurance Agent. My team and I have been managing insurance in the San Francisco Bay Area for the past 20 years. So, how often do we hear these zany and wacky TV commercials where some celebrity is paid being to tell us to switch to a low cost cheap insurance company. Well what they are not telling you is some of those coverage’s that are missing in your auto policy that can cost you money down the road. So today I am going to share with you three of those types of coverage. If you have an auto accident over 50 miles away from your home. Let’s say you go to Tahoe, or Monterey, or Yosemite. You have to have your car towed back to your home town so you get to choose a local quality repair facility to do the work. Well, guess what? The tow company’s are not going to tow you back for free are they? They are going to charge you anywhere from $300 to $400 minimum to do that. A good insurance company will pay you $500 to have your car towed back, and these other low cost companies typically don’t offer that coverage. If you have an auto accident and you have a BMW, a Mercedes, a Chevy, a Ford, an Audi, a Lexus, whatever your car, you want to make sure you have quality original equipment parts reinstalled in your car A) to protect your family and B) when you sell your car you’ll get a better market resale value. A good insurance company will repair any crack today in your Windshield for FREE. No Deductible. And if you do have to replace the entire Windshield because the crack is large, then they only charge you about a $100 deductible. These low cost insurance companies don’t do that. So, the next time you hear some celebrity being paid to tell you to switch to a low cost insurance company, just remember what they are not telling you and how that is going to cost you money, “Down The Road”.